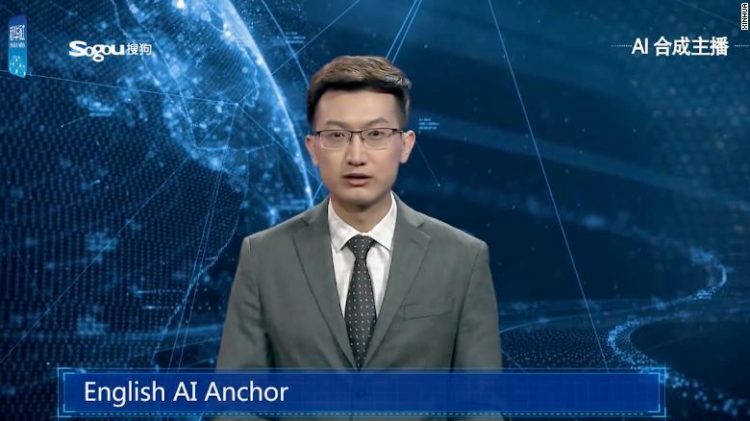 China’s state news agency Xinhua unveiled two very realistic looking AI news anchors that can “tirelessly” report the news 24 hours a day, 365 days a year, from anywhere in the world. We’ve known that robots and artificial intelligence were coming for our jobs, but somehow I never thought news anchors would be among the first to be replaced. However, if the two AI broadcasters who made their debut last week during China’s annual World Internet Conference are anything to go by, the future of human news anchors looks very bleak. The newest additions to Xinhua’s team of broadcasters not only look disturbingly realistic, but they can also move their mouths to match the audio, blink, nod their head in emphasis, or raise their eyebrows. But their most important quality is that they can work 24/7, both on the agency’s website and on social media platforms, greatly “reducing news production costs and improving efficiency”. 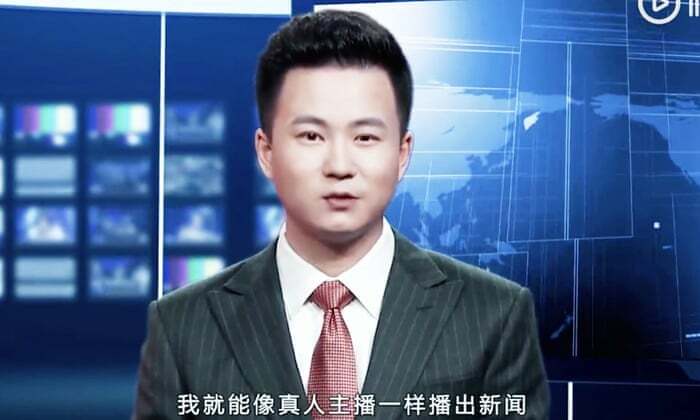 The two digital news anchors were developed by Xinhua and the Chinese search engine, Sogou, and reportedly rely on machine learning to simulate the voice, facial expressions, and many gestures of human broadcasters. Both are modelled after real-life news anchors, but their voices are the biggest tell that the ones recently showcased are digital copies. Although better than most text-to-voice softwares, they still sound stiff and their pauses are often unnatural. So far, the response to what Xinhua called “the world’s first AI news anchors” has been split. While some declared themselves impressed with the two anchors, others have said that they fall into the “uncanny valley”, where avatars or objects that closely resemble humans make viewers feel more uncomfortable than those who look obviously artificial. Noel Sharkey, emeritus professor of artificial intelligence and robotics at the University of Sheffield told the BBC that Xinhua’s achievement was a “good first effort” and that “we will see it improve over time”. Michael Wooldridge, a professor at the University of Oxford, said the anchors struggled to appear real. “It’s quite difficult to watch for more than a few minutes. It’s very flat, very single-paced, it’s not got rhythm, pace or emphasis,” he said.